Queen Louise of Denmark, née Princess Luise Wilhelmine Friederike Caroline Auguste Julie of Hesse - Kassel. Born: 7 September 1817 at Kassel, Germany. Daughter of Prince William of Hesse and Princess Charlotte of Denmark. Frederick VIII of Denmark (June 3, 1843 - May 14, 1912). Queen Alexandra of the United Kingdom, (December 1, 1844 - November 20, 1925). Princess Thyra of Denmark (September 29, 1853 - February 26, 1933). Prince Valdemar of Denmark, (October 27, 1858 - January 14, 1939). Became queen: 1863, after the death of Frederik VII. Died in 1898 at Bernstorff Palace. 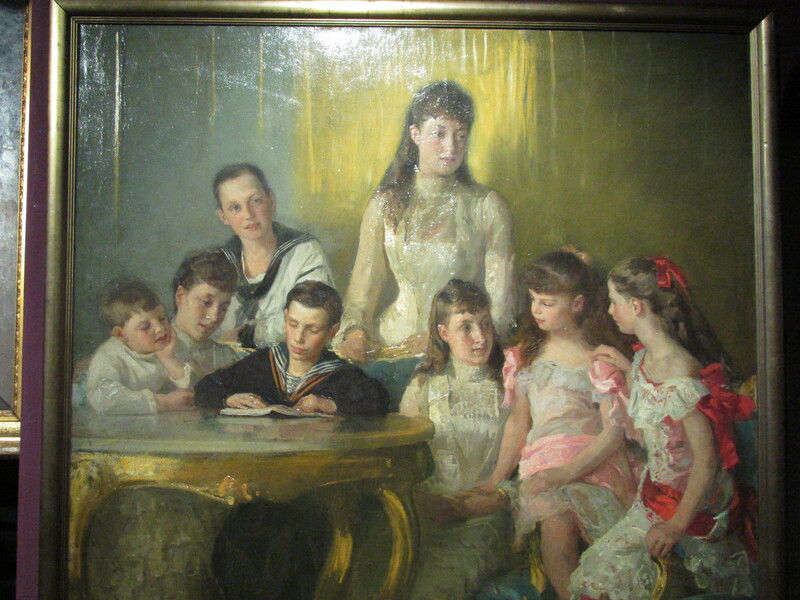 Trivia: Nicknamed the Mother-in-law of Europe after the favourable marriage matches she made for her children. Louise of Hessen, queen of Denmark. Christian IX, king of Denmark. Is the jewellery Louise is wearing in this picture from worldsroots still in the family? Hard to say. If the Queen don't gave them to her descendants they could be used for another jewels. I believe they disliked Germany because of their war against Denmark over the territories of Schleswig, Holstein and Lauenberg. I think Queen Louise was an amazing woman. The grandmother of Europe. They are really beautiful pictures. Louise looks so young in the last one. What tiara does she wear here? Certainly not one of her own! If I remember correctly it was borrowed for some costume ball in...... Saint Petersburg????? I do SO agree with you lumutqueen! The first Christmas seal was sold in Denmark in 1904 and had the likeness of Queen Louise. Could someone help me identifying who these persons exactly are?! Is this Queen Louise with her grandchildren? Later King Haakon in naval suit in the back? Princess Maud of Wales? Who is the boy reading and the smaller one watching? I think the woman with the children is too young to be Queen Louise, grandmother. 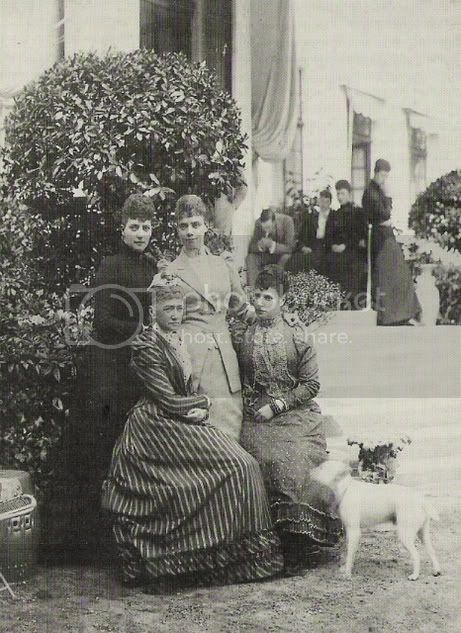 She may be her daughter in law Crown Princess Louise (who was a princess of Sweden) with some of the large family she had with the future King Frederik VIII of Denmark. I agree that the older girl standing centre back has the look of one of the Wales princesses, but it's odd if she's paying a visit to Denmark that she was included in the family portrait and not any of her siblings. One of the other girls, in semi-profile has a nose like Louise of Sweden. The couple had eight children didn't they?